Are Your Family, Business, and ﻿Wealth﻿ Prepared for MAJOR Transition? The statistics are harsh; only 40% of family businesses will survive into their second generation, and 90% will be dead in the water by the time they reach their third. The truth is that the family business suffers from dynamics and idiosyncrasies not experienced anywhere else in the business world. 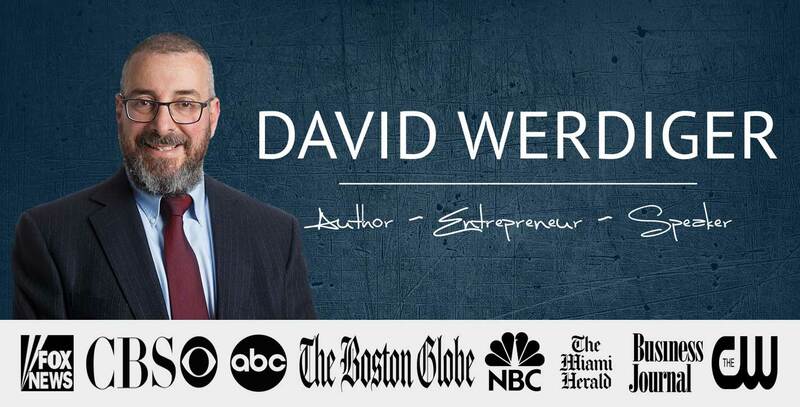 However, bestselling author and business consultant David Werdiger has spent his career helping family businesses thrive and, in his new book, he helps them prepare for history’s biggest transfer of wealth – with gusto. Transition is a must-read for all family businesses. Their future literally depends on it. Establish a foundation of trust and acceptance in your business that will allow for a smooth transition of roles and wealth. Learn the formulas and calculations that will allow you to identify how much wealth your family needs to provide for future generations. Can your business continue without you? Make sure you can effectively remove yourself from your business and still have it thrive. Learn how to better communicate and connect with the other generations involved in your family business. David Werdiger﻿﻿ is a #1 International Bestselling Author, and the Founder and Chairman of Billing Bureau, one of the leading Australian Telecommunications Recurring Billing Software companies. He has been featured on ABC, NBC, CBS, FOX, The Wall St. Journal, USA Today and most recently he presented an ELI Talk titled “How to ‘Have’ Jewish Grandchildren.” As an in-demand speaker, David travels the world sharing his ideas about business strategies, philosophies on life, Jewish culture, and philanthropy. Never before have you had such a unique opportunity to have this PROVEN Wealth Transfer and Family Business Expert take you by the hand and explain not only how to prepare for your business and family for the greatest wealth transfer in history, but also how to position your family business for massive success through the generations to come! Most of what you need is instruction and encouragement from someone who has "been there and done that!" Get this book NOW and claim the Family Business success you want!